My lesson barn has plenty of brushes, However, the brush boxes have usually been mauled by munchkins, so I can never find the brushes I like to use. I bought a set to take with me. Picky, moi? While I was at the tack store, I wandered into the riding section. Back when, I didn’t ride Rodney enough to settle on which bit worked best for us. Previous Horse and Mathilda both preferred fat simple snaffles, eggbutt and loose ring respectively. However for a big horse, Rodney doesn’t have a lot of room in his mouth. He objected to the fat mouthpiece. Plus, it seemed to me that a the point of a regular snaffle came too close to the roof of his mouth. I’m told that a straight bar is actually more severe. I settled on a 6″ knock-off German silver/copper French link. A Dr. Bristol looks similar but is a much harsher bit. Hubby sees my willingness to spend money on a bit as a sign that tack is in Rodney’s future. I won’t go that far, but I will grant that finding a comfortable bit is the first step. One little bit at a time. That is a good thing. And of course it gives you an excuse to go horse-supply shopping! Something I’ve found out, both with the horses and in ballroom: whenever a new horse (or in my case ballgown) enters the picture, you will automatically require completely new gear. The existing equipment never, ever fits the new horse. The existing jewelry never, ever matches the new gown. Let’s SHOP!!!! Zeppelin-boy was flirting with custom girths *before* he put on 200 pounds. Also, the last restuffing was the final one for my old, trusty Hartley Apollo. I shudder to think of the tack we will need. I can’t ever find the right brushes at my lesson barn, either. But I think I’m the one that loses them in the first place. Is “eggbutt” a technical term or just descriptive? 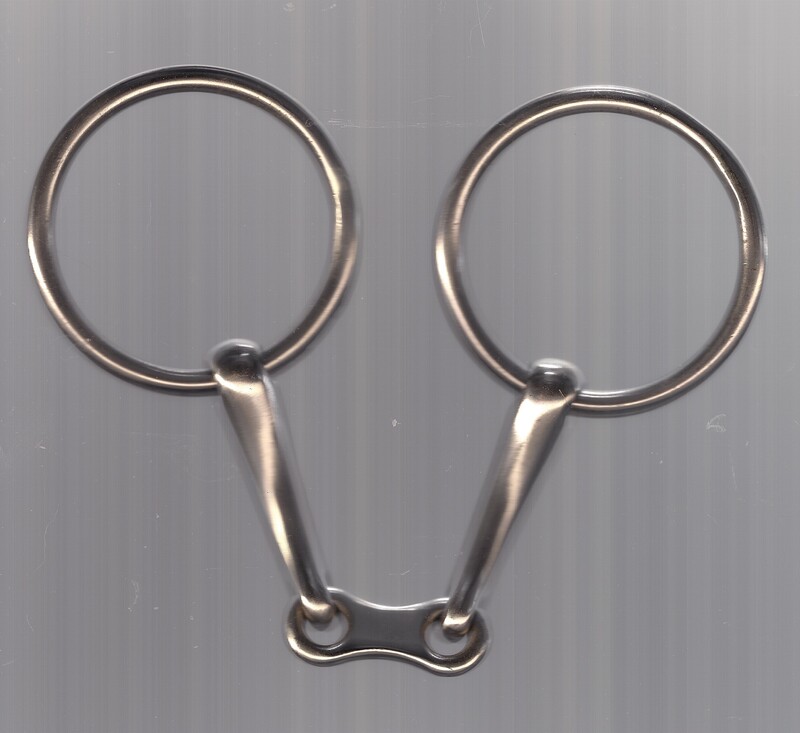 Eggbutt snaffle: http://www.doversaddlery.com/lht-wgt-hlw-mth-eggbutt/p/X1-0178/. If memory serves, PH & Mathilda wore the hollow mouth mouthpiece pictured here. Rodney looked like he was trying to get his mouth closed over an extra large wad of bubble gum. Priney always wore a plain eggbut snaffle. Her former owner had used a twisted snaffle but i didn’t like it. Chief wore the same eggbutt snaffle. They both seemed to like it. Haha, that is very, very true Kathie! Hope Rodney takes to his new bit well. Ah life. And brushes are never where you left them, especially not in a lesson barn. Watch for the kids who clean the mud off their shoes with the barn’s dandy brush … that was the one I always wanted to strangle the kids for.